Bec your vase is fabulous…I love the deep reds and have a red garden that’s how much I love them…the jar is perfect too….your trip sounds lovely and how wonderful to travel with family. Lovely displays, I like using a green chrystanthemum bloom with deep reds – the brightness of it really makes the whole display pop! What an absolutely gorgeous display Bec! I love the colours 🙂 The vase is super cute too! I wish the trees weren’t so tall in our garden, our flowers really struggle with too much shade! 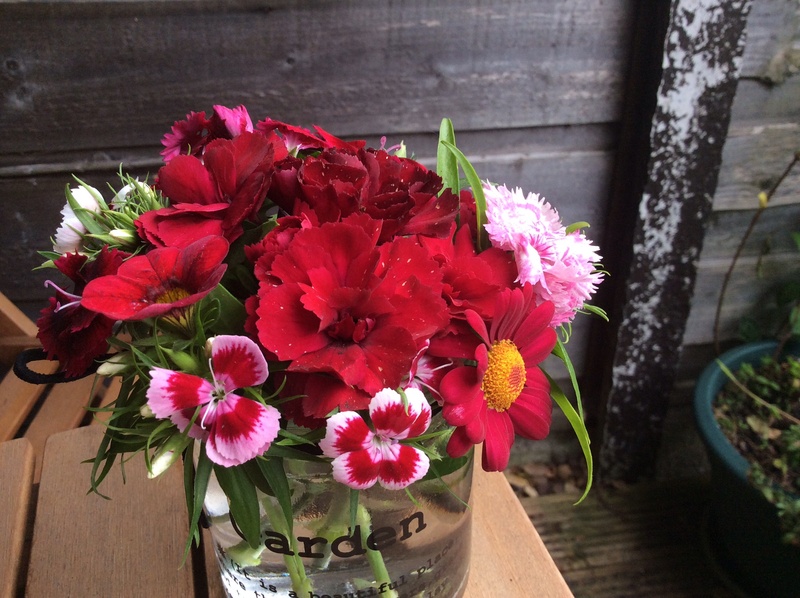 The pink and red Dianthus does a great job of pulling the whole assembly together, Bec! And I am even later catching up Bec! Glad you enjoyed the time in Belgium with your Mum and found plants to enjoy alongside the main purpose of the visit itself. 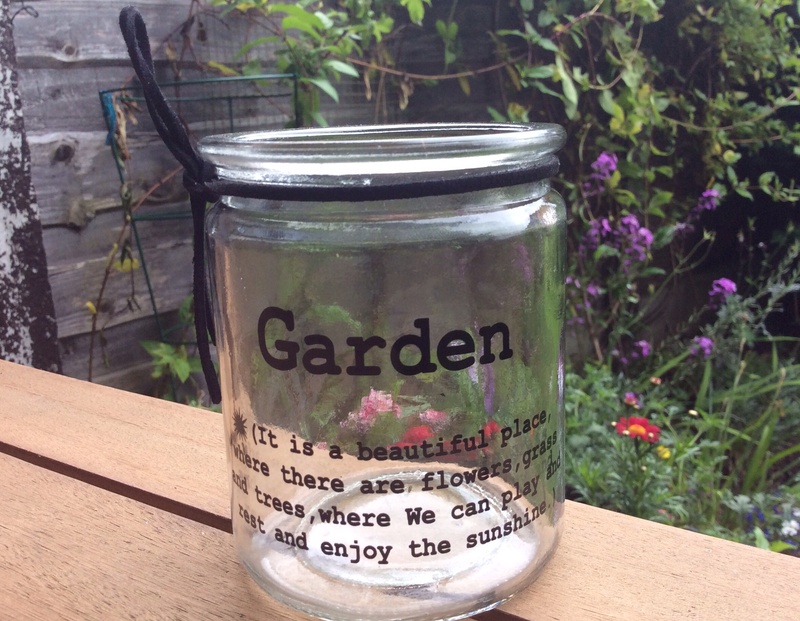 I love your little jar with the quotation – I wonder if I could track it down anywhere else? 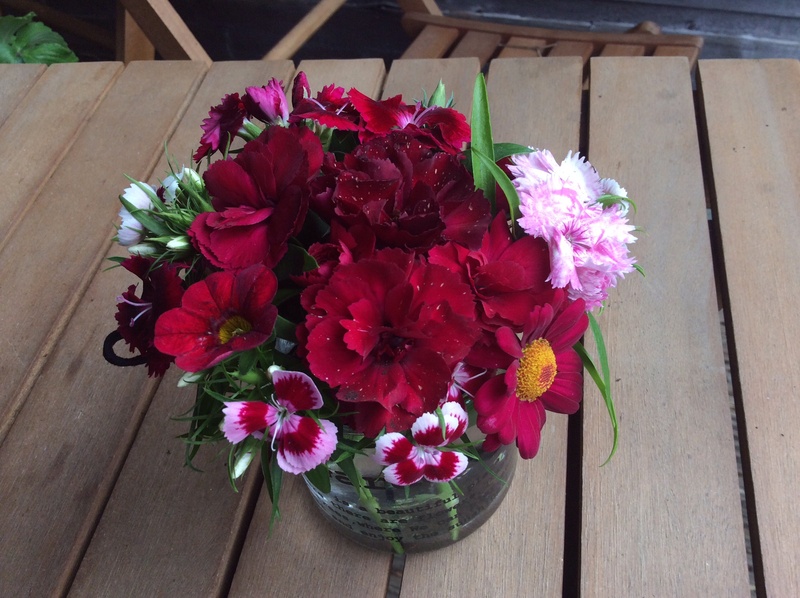 But your dianthus are the real stars – what lovely rich colours. Thanks for sharing everything. 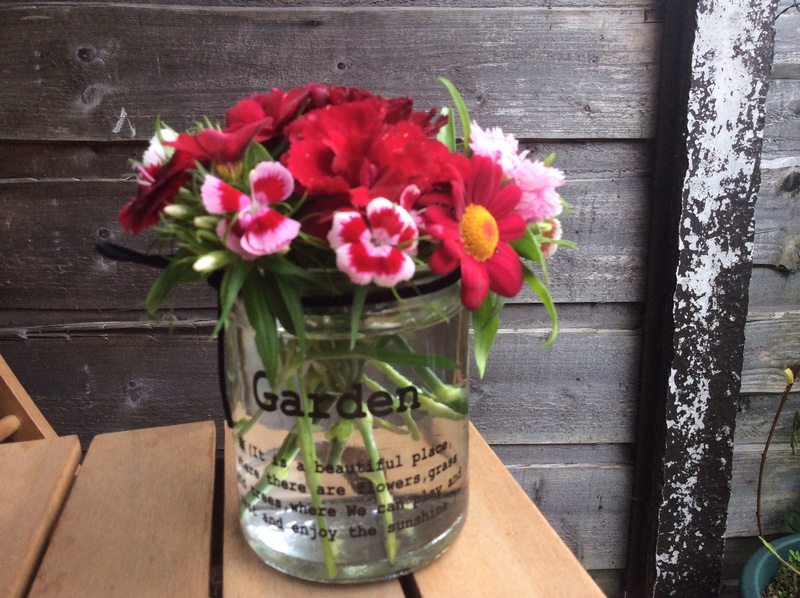 And the trick for dianthus is…?